This day trip may lead you to different locations which our guides will choose according to water levels, weather forecast and of course group wishes - but all possible goals have one thing in commen: they offer a fantastic canyoning experience! Physical effort for the day trip is higher than for other tours and we're spending more time in the cold water. 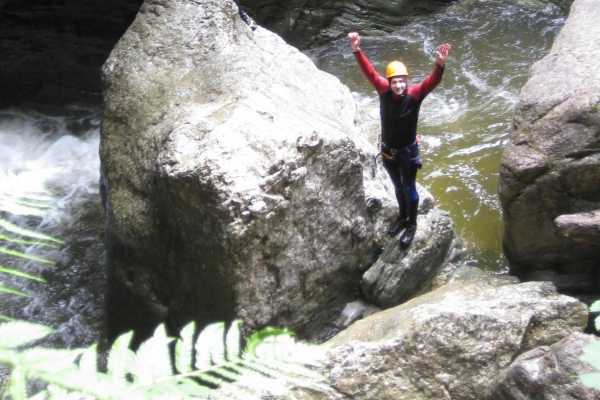 The canyons might also contain longer sections where no escape is possible but downstream... for these reasons we recommend the day tours only for very fit persons or persons that already have had some experience with canyoning! If you fulfill these criteria you're gonna have a splendid day out in the gorge that you're very unlikely to forget! Canyoning im Lechtal ist vor allem eines: landschaftlich einmalig! Während die meisten Touren vor allem durch die einmalige landschaftliche Schönheit bestechen liegt mit Canyoning an den Stuibenfällen auch ein echtes Action-Highlight am Eingang des Lechtals! 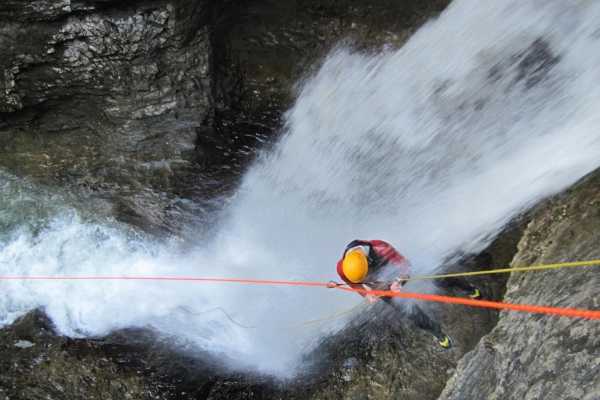 It's called the El Dorado of Canyoning the swiss region Ticino holds some of the most spectacular and scenic canyons of europe within a few square kilometres! No question that this is area is the second home to many of our guides that would love to take you there and show you what it's like to slide down some of the most epic slides you can imagine and move through incredibly carved rock sculptures! The Plansee is our trip to the far-east... about an hour to drive from our base in Sonthofen but rather close to the famous holiday destinations of Garmisch-Partenkirchen and Munich it's worth a little drive. It is a tour that can be adjusted to every participant: single cascades can be left out, rappeled or sometimes even jumped - depending on your skills and wishes! This canyon has the nickname JumpingJack due to its many jumps of various heights... if you like jumping this is for you!! If you'd rather enjoy slides or scenic nature you might rather opt for our Trips "Starzlachklamm" or "Lechtal"